Can one theory explain all things physical? A worker in a hardhat is dwarfed by the structure of the ATLAS detector inside the Large Hadron Collider. 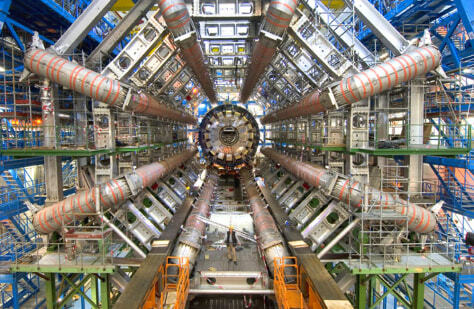 Scientists believe the particle collider may show whether a "theory of everything" is possible.